Gail Farquhar began her nursing training at Waikato Hospital in April 1960. She had two placements in obstetrics – one in her first year and the other in her third year of training. 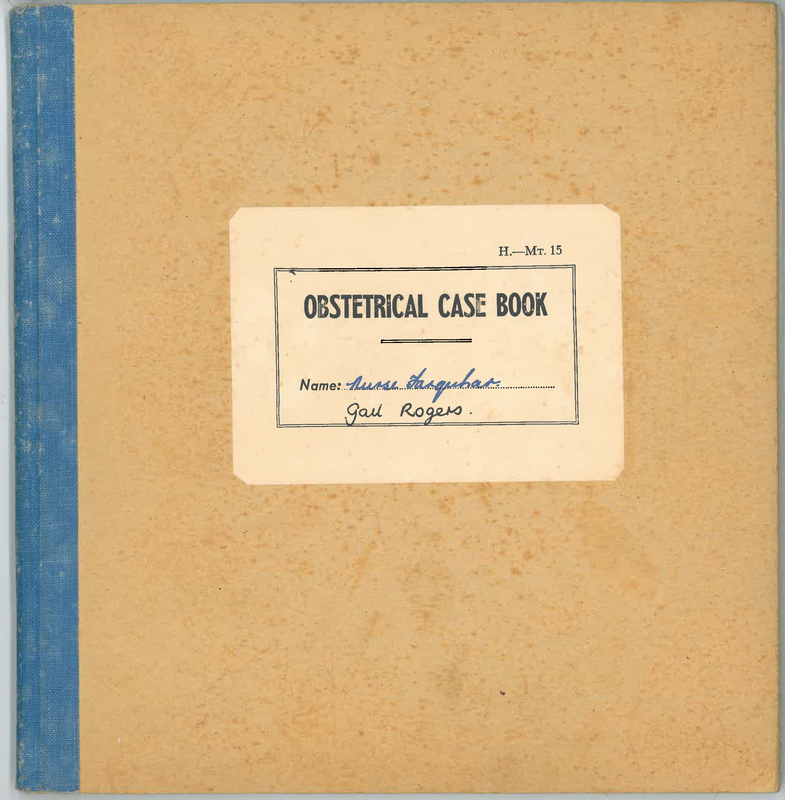 Gail was required to write one case history of “the nursing of a normal mother and her baby during the first six weeks obstetrical experience” in her Obstetrical Case Book (H.-Mt. 15). Gail obtained this experience at Te Awamutu Maternity Hospital. 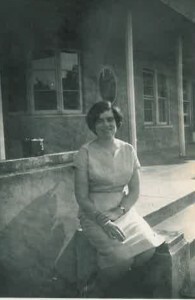 In her third year she wrote a case history of a premature baby, a normal labour and delivery, an antenatal history, and corresponding charts. Entries were made in Gail’s H.-Mt. 15 dating from 11 April 1960 to 11 March 1963. 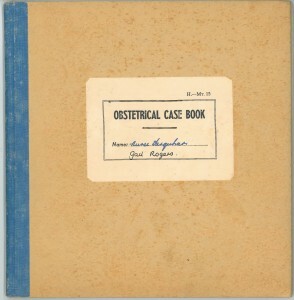 This Case Book was examined by the Sister in Charge or Matron of the hospital, as well as inspected by the examiner at her examination who would take the contents into consideration when allocating marks. In 1960 the H.-Mt. 15 was a 72 page cardboard covered book measuring 21 x 21.7cm.